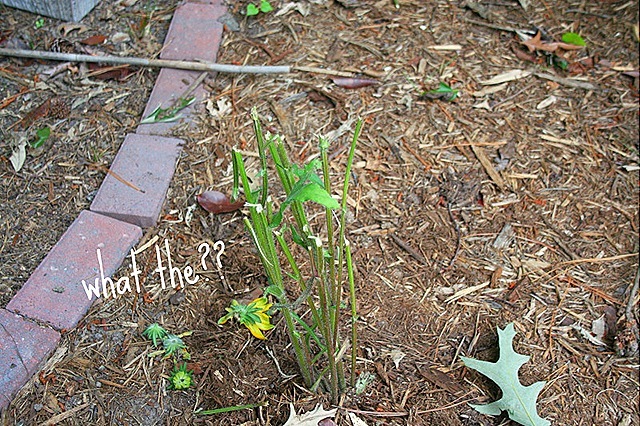 What/who is eating my black eyed Susan's?? Must be some giant rabbits because the cuts are about 12 inches from the ground. I don't have deer, my yard is fenced. naughty bunnies. I wanted to show my planter that is mounted on the gate to my backyard. It get's full sun and doesn't really hold that much potting mix. The perfect solution to this hot and dry spot is to plant sedums. 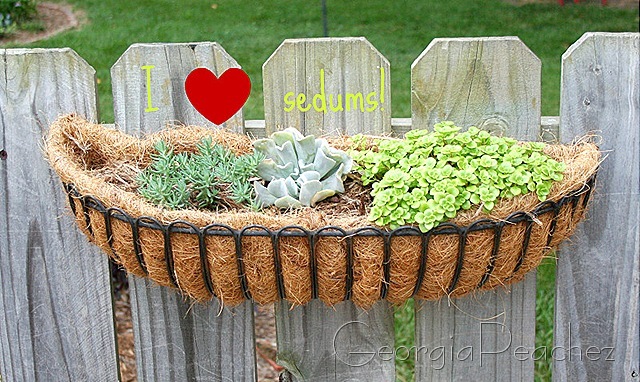 I have a huge collection of sedums and I use them everywhere in the garden. They are perennials too! My Voodoo lily is getting to be a giant. It's a beautiful shade of chartreuse green. I plundered these beautiful urns from my FIL's house in Enid, OK. 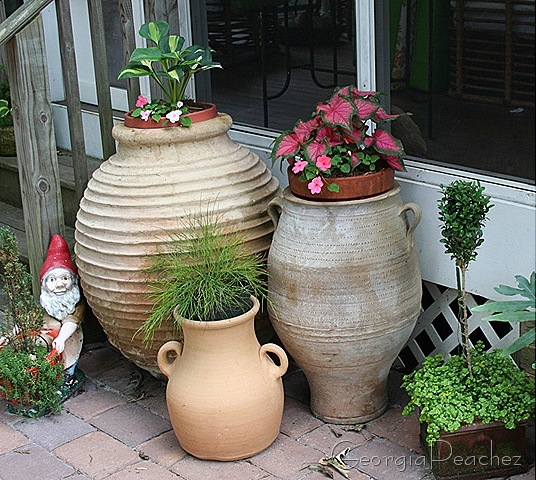 The giant urn is an antique greek olive urn. It is so large it had to be crated to make the trip from OK to VA. I am so thrilled to have them on my patio. Thanks Dad! 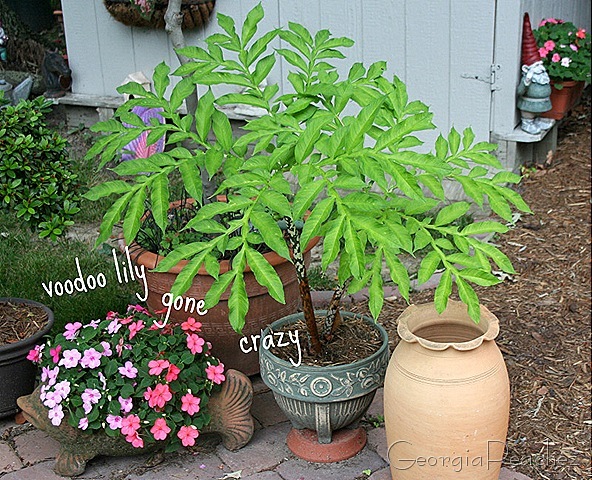 I love seeing the progress – especially that voodoo lily. This is really good garden. For fencing and gates of your garden you can go at http://www.fencing-and-gates.co.uk here you will get some stuff.